PLDT Group’s aviation business Pacific Global One seeks to get a slice of rising demand for chartered flights in the country. In a statement over the weekend, Pacific Global One President and Chief Operating Officer Rene “Butch” Meily said the unit offers flights to Balesin in Quezon, Amanpulo in Pamalican Island, Baguio in the north and Boracay in Panay, among other routes. “With the rise in demand for tourism and business travel, Pacific Global One is positioned to capture this niche for chartered flights,” he said. Meily said that while they have competitive price points for the service, Pacific Global One is also available for small groups that want to fly to other areas in the Philippines at affordable prices. Pacific Global One has seasoned pilots who are former Philippine Air Force and Navy veterans as well as a Canadian flyer. Guests may choose either a Beechcraft Super King Air 350, which accommodates eight passengers with two pilots, or a five-seater Bell 429 helicopter. 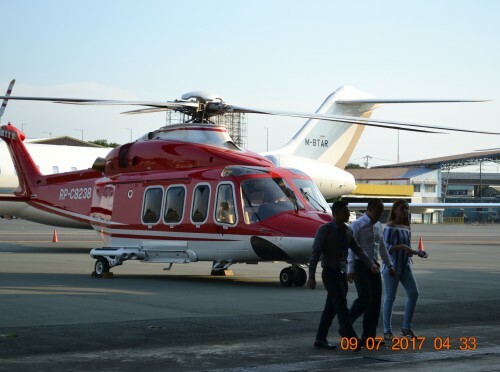 Both aircraft were previously for the exclusive use of the PLDT Group. “By giving the public the chance to fly corporate aircraft, Pacific Global One hopes to contribute to the growth of the travel industry in the Philippines,” Meily said.